• Concealer and anti-puff mask. These four single dose sachets each contain a Biocyte treatment. This cosmetic box is ideal to make a gift. An Eye Patch bag is offered when purchasing a box. Ideal for a moment of well-being, this cosmetic box contains biocyte masks, suitable for all types of skin, even the most sensitive. Biocyte mask® provides the 3 essential constituents to nourish the skin and protect it against the appearance of wrinkles. It effectively fights dryness, promotes firmness and elasticity of the skin, for a youthful look. For more information, click on the following link: Biocyte moisturising mask. Biocyte CRYO-mask® combines moisturizing, firming and facial radiance active ingredients. Thanks to its instant action, it eliminates the features of fatigue and decreases the depth of expression lines, for a real shot of radiance. Learn more by clicking here: https://www.biocyte.com/en/cosmetics/24-mask-cryo-3401563305897.html. 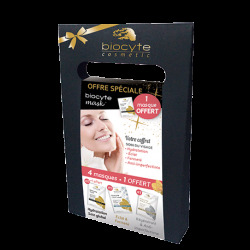 Biocyte GOLD-mask® is an anti-pimple mask. 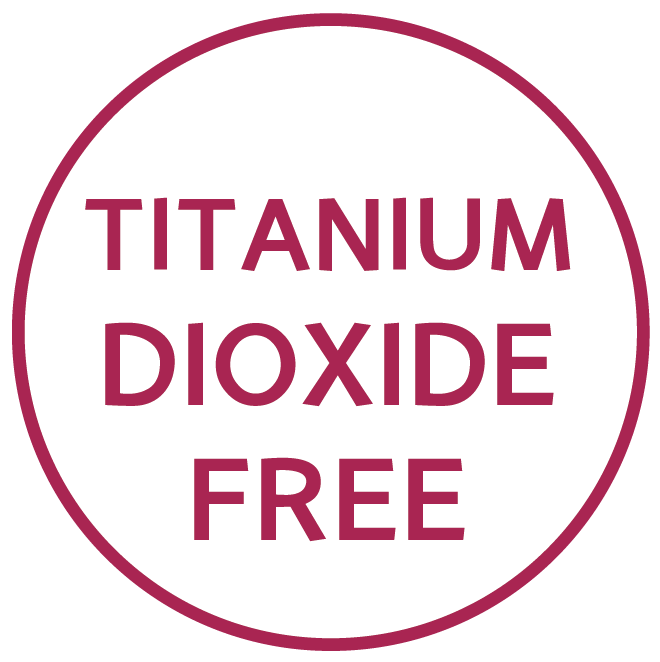 It provides 3 essential components to deeply cleanse and regenerate the skin: gold, silver and lactoferrin. Chamomile and green tea soften the skin for a velvety touch. "[...] always products out of the ordinary and too cool on top of that, besides, the mask gold/silver is one of my favorites that I am testint at the moment, I can not wait to to share with those who follow me because I'm sure they will love it ". 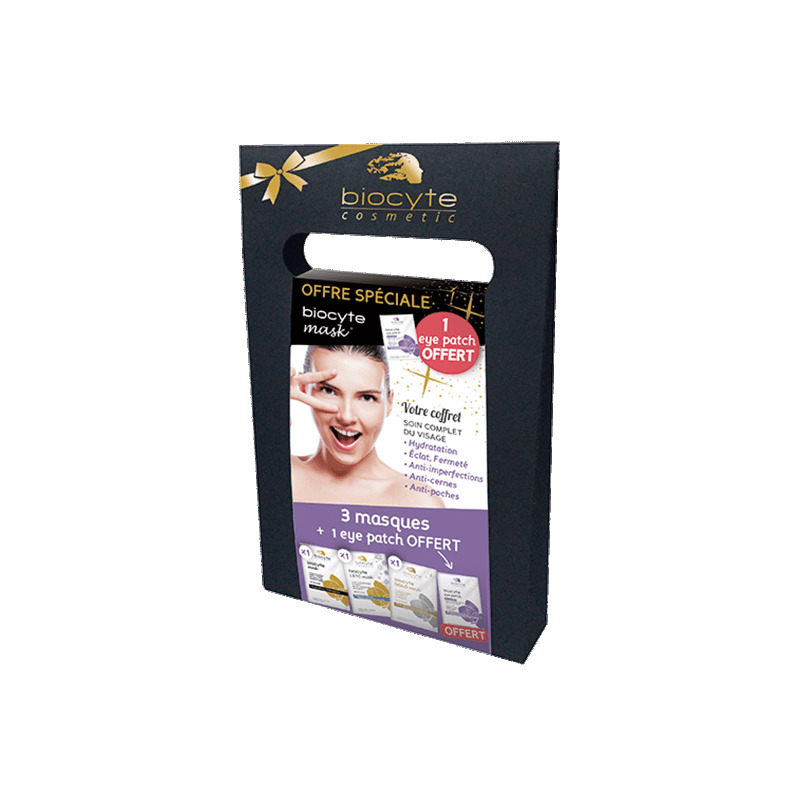 Biocyte eye-patch® is a true concealer. This product contains a formula specifically developed for the eye contour. Its effectiveness has been proven: erases dark circles and puffiness, reduces wrinkles and brings freshness to the eyes. Signs of fatigue are instantly reduced. The masks contained in this cosmetic box are in bio-cellulose: a nano-fiber 100% compatible with all skin types, which ensures optimal penetration of active ingredients, for a beauty result equivalent to an institute treatment. "Today I work, but I took the time to relax a little in a bath and used the masks @biocytenutricosmetics that are very practical when we have little time.I therefore used the face mask with hyaluronic acid, elastin and collagen (Biocyte Mask), which moisturizes very well. After that, no need for cream, you can start directly with the makeup. I also applied the patch for the eye contour, anti-dark circles and anti-puffiness. I really like these very effective and practical products to apply." Apply to clean, dry skin. Remove the first layer of woven paper. Place the mask® over the entire face, and then remove the second layer of woven paper. Lightly press down with fingertips to ensure that the mask® adheres to the skin and that no air bubbles have formed. Leave on for 15 to 20 minutes, then remove mask. To be used 1 to 2 times a week.